Here at Sir Jason Winters International, we have no problem talking about all the wonderful benefits of drinking green tea every day. In addition to being one of the healthiest things you can drink, there are lots of other ways that you can use green tea: on your hair, your skin and even around your home. Here are a few ideas about putting green tea to work in your life and around your home. Put them in your bath – Loose leaves can be put in a muslin bag and hung over the water spigot in the bath or left to float in the bathwater so your skin can soak up the soothing, therapeutic benefits of the tea. Take a teaspoon or two of the used tea leaves and put them into the bag. You can also do this with two or three tea bags if you wish. Soothe tired eyes – During your bath, you could take two muslin bags with tea leaves in them or two tea bags and place them over your eyes while you relax in the tub. Dampen them first then place in the refrigerator at least 20 – 30 minutes before your bath. For those who stare at a computer screen or smartphone, the cool tea bag compresses will make your eyes feel rejuvenated. Simply lie back and relax for 15 -20 minutes to get the full benefit. This treatment can also help reduce redness and irritation and reduce puffiness under your eyes. An additional benefit is that this tea bag treatment can also help prevent conjunctivitis and other types of eye infections. Soak Tired Feet in Green Tea – Make a green tea foot soak a part of your daily routine. The plant Camellia sinensis which green tea comes from contains natural chemical properties which are both antibacterial and antifungal. A soak also helps your feet relax after a long day! Treat Minor Injuries – The ECGC or epigallocatechin-3-gallate within green tea acts as an anti-inflammatory for the skin and the tannins within the plant act as a natural pain reliever. Mosquito bites, blisters, minor burns, bruises, scrapes or injection sites can benefit from these compounds. Try putting a damp tea bag on the affected area. Clean Mirrors and Windows with Green Tea – Making the windows and mirrors in your home sparkling clean and streak free is simple when you employ green tea bags. Simply wipe a used, damp green tea bag over the window or mirror and then wipe with a clean cloth in a circular motion. The tannins will help break down dirt and smudges so that they can be wiped away effortlessly. Clean and Deodorize your Carpets – Start by opening up green tea bags and emptying the contents into a container with baking soda. They can be dry or slightly damp. Sprinkle the mixture over your carpets or rugs and let it sit for 20 -30 minutes then vacuum to eliminate odors. When using this technique, care should be taken with light colored or antique rugs. Get Rid of Fleas – As much as we love our pets, our furry family members can also bring in fleas. By adding simple table salt to the previous mixture of green tea and baking soda you will have a safe and natural way to get rid of these pests. As before, simply sprinkle it over the carpeting or even hardwood floors. The green tea acts as a repellent while the salt and baking soda will suffocate and soften the bodies of fleas. This will also prevent any flea eggs from hatching. You will want to let it sit for a number of hours, so leaving it overnight is ideal. Naturally Deodorize Pet Beds & Litter Boxes – By sprinkling dried green tea leaves over your pet’s bed or placing it inside the bedding cover, you can reduce odors. Adding dried green tea leaves in your cat’s litter box is a great way to keep it smelling fresher longer. 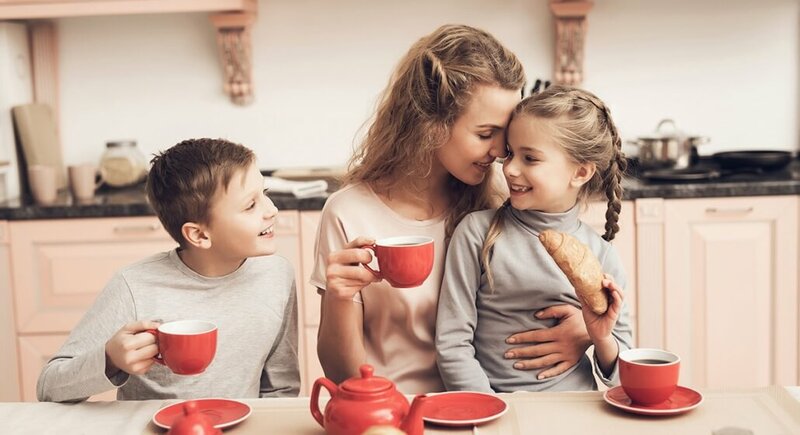 Green Tea as a Dust Mite Solution – After a good cleaning, you can prevent dust mites by spraying dust prone areas around your home with an infusion of green tea. The solution should be very weak, and you should test it on a bit of fabric or carpet in order to ensure that it won’t stain. A light misting around the home should do the trick. Deodorize Your Kitchen – By placing a small container of your used and re-dried green or black tea leaves in your refrigerator you can keep it smelling fresh for 3 -7 days. After that, you can put them into your compost bucket to be recycled back to the earth. You can also deodorize a kitchen cutting board or even your hands by rubbing a tea bag over them to absorb and remove odors like garlic, onions or fish. Green Tea to Get Stains Out – The antioxidants in green tea can help prevent the oxidation of metals which causes rust on metal surfaces. Simply place reuse the green tea leaves by placing them in a muslin bag. You can use this or another type of cleaning cloth top rub the leaves over outdoor grills, cast iron cookware, door handles, hinges or other metal such as brass which is exposed to the elements. For those with very hard water or water that is rusty, reusing green tea bags or loose tea can remove stubborn rust stains from porcelain sinks and toilets better than nearly any other chemical you can buy. Be sure to remove any staples, strings and paper tags to prevent any plumbing or septic issues. Whenever you have green tea in your cup or teapot that you haven’t managed to drink, just use the liquid to water your plants. The natural properties along with nitrogen are great for your plants. Mix the leaves into potting soil or use a thin layer around the base of both your indoor or outdoor plants. The leaves will decompose over time and will enrich the soil. These are just a few of the many ideas of how to incorporate green tea into your life every day. Whether you like to enjoy loose leaf or bagged tea, you can reuse them after you have enjoyed your cup of tea. The bags can be put aside after you squeeze as much of the water from them as possible. Loose tea leaves can also be put aside in a container kept in a freezer or on a baking sheet into an oven set on a low temperature. Stir them a bit on occasion to make sure that the leaves are thoroughly dried. What kinds of other ways have you found to use green tea or to recycle the used leaves or tea bags? Share your experiences with us and your fellow tea lovers by leaving a comment below.